By comparing notes, physicians and nurses can improve the quality and affordability of health care. 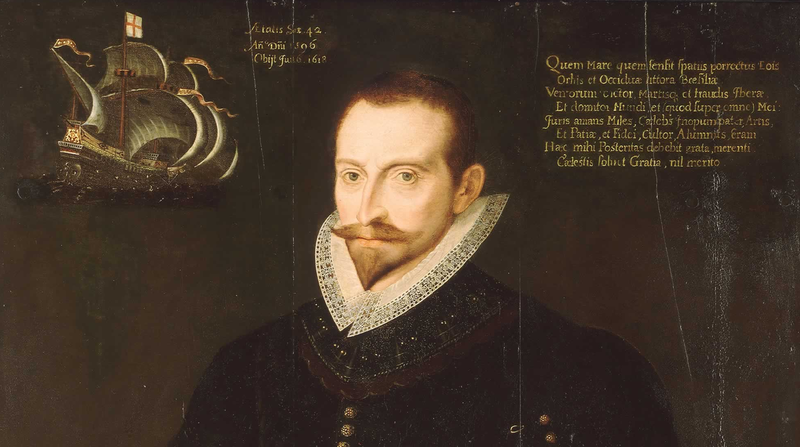 While commanding four vessels sailing between England and India in 1601, Captain James Lancaster performed one of the great experiments in medical history. Each of the seamen on just one ship — his own, of course — was required to sip three teaspoons of lemon juice per day. By the midpoint of the voyage, about 40 percent of the sailors on the other three ships had died, most from scurvy, while no one on his had succumbed to the disease. This experiment is remembered less for its result — demonstrating the power of (vitamin C-rich) citrus fruits to combat scurvy — than its aftermath: It took the British navy and perhaps a million deaths to adopt dietary regulations reflecting this simple, wondrous insight. For all of its dazzling breakthroughs, modern medicine is still bedeviled by this achingly practical problem: how to identify and deliver the best health care practices to patients in a timely manner. Across the nation, hospitals are working to improve quality and affordability of care, recognizing the need to contribute to a healthier nation. The National Institutes of Health estimates that it takes about 17 years for many scientific discoveries to become standard treatments. This Gordian knot is being untied in the state of Michigan and a handful of other states, thanks to a simple yet profound observation: Physicians and nurses can dramatically improve health care by comparing notes. Pioneered by Dr. David Share of Blue Cross Blue Shield of Michigan and researchers from the University of Michigan two decades ago, the Collaborative Quality Initiative, or CQI, program enables health care systems to collect, analyze and share real-time evidence about what works in clinical settings. Today more than 120 health care providers aligned with BCBS of Michigan, including almost all of the state’s large and midsized hospitals, participate in at least one of the 20 Collaborative Quality Initiatives. These focused groups cover a range of specialties, including oncology, cardiology, anesthesiology and spine surgery. Together they analyze the care given to nearly 250,000 patients annually. As they save lives and reduce complications, the five most established CQIs have lowered costs by $793 million during the last 10 years. They are an important reason that Michigan’s BCBS plans have enjoyed the lowest rate of cost increase in the U.S. during the last five years, according to numbers from BCBS of Michigan. Broadly speaking, the Collaborative Quality Initiatives turn hospitals into laboratories. They gather the information physicians and nurses are already compiling in electronic medical records — stripped of the patient’s identifying detail to preserve privacy — at coordinating centers, most housed at the University of Michigan. Physicians and other experts there sift and scour these records to determine whether known best practices are being followed and to identify approaches that improve patient outcomes. Then they bring together the providers, usually on a quarterly basis, to discuss and review the findings. This is especially effective because participants see their own results, and not just the results of clinical trials which they must interpret and apply. Instead of just relying on their own experience of what works — based largely on the limited number of patients they treat — caregivers are able to draw on the wisdom and insights of their colleagues. This has led to scores of significant improvements. For example, the CQI examining angioplasties led to changes that reduced vascular complications by 52 percent between 2008 and 2014. One important effort by this group examined about 85,000 patient records to compare two ways of sealing the hole in the artery created by the procedure: vascular closure devices, or VCDs, versus manual compression. The VCDs were not widely used because of concerns about costs and safety. The CQI found that VCDs provided little benefit to lean and normal-weight patients but significantly reduced complications in those who are overweight. The use of VCDs for this high-risk subset of angioplasty patients is now standard of care in Michigan. No one should be surprised that better information is producing better results. But generating truly useful quantities of data has been challenging, in part, because of competitive pressures. Hospitals and other health care providers are loath to share their results for fear of losing an edge or spotlighting problem areas. CQIs counter this by fostering an environment of collaboration and trust. Although BCBS of Michigan covers much of the cost of running the CQIs, it does not see the data collected. Nor does it penalize participants for poor results, so there is little incentive to hide data. Instead, the CQIs create a collegial atmosphere centered on medicine’s core mission: improving patient care. As such, CQIs represent a key goal of health care reform by finding ways to save money through better medicine. Despite the proven success of this common-sense approach — sharing and discussing data produces better results — other states have been slow to adopt Michigan’s model. Replacing a culture of competition with one based on collaboration is hard. There are signs, however, that this is changing. Since 2015, BCBS organizations in Pennsylvania, Illinois, South Carolina and North Carolina have launched similar programs. Still, more aggressive action is required by those who provide and pay for health care, especially insurance companies and the federal government. This includes a robust national effort to break down the barriers few people would openly defend to achieve a goal everyone can agree on: better, more affordable care. It would be tragic if CQIs became, like Captain Lancaster’s treatment for scurvy, another cure left adrift at sea.